First stop was the Mirror Maze. Upon entering, we were given white gloves to prevent us from leaving hand prints on the mirrors. It was all fun and amazement after. The illusion created by the mirrors created the maze. We did not only have fun finding our way out but we also enjoyed taking photos with our "extra" selves! Can you guess who's the real boy there? 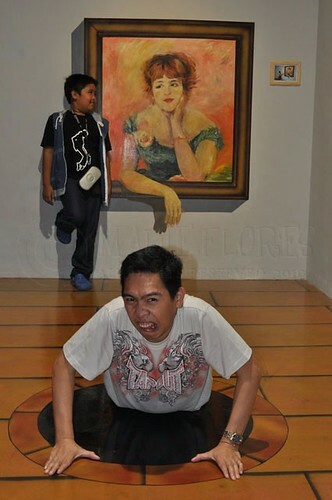 Then, we went over to the Trick Art Museum which is perfect for taking more amazing and funny photos. We were literally keeping ourselves sane from laughing at the wacky pictures we took of ourselves. 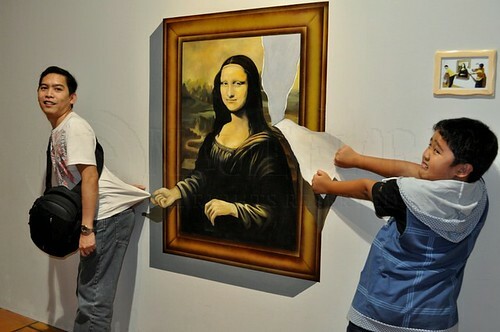 My boys with the "naughty" Mona Lisa. 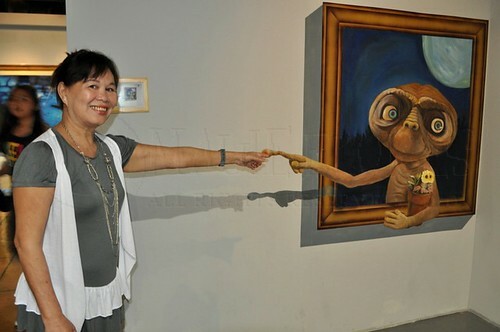 My mom-in-law gets close with E.T. Then, we went to view the movie that was featured in the 3-D Plus Cinema. A movie is being shown every 30 minutes. 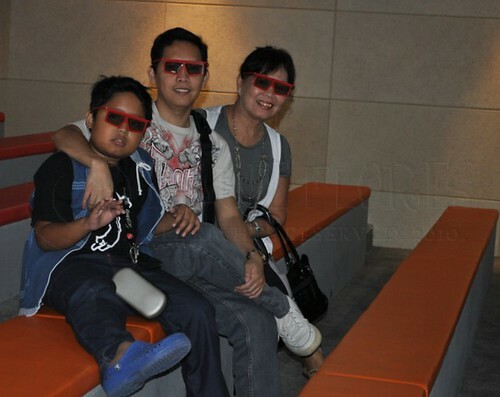 We were given 3D glasses and were advised to sit at the orange-colored benches where it is said to be best for 3D viewing. 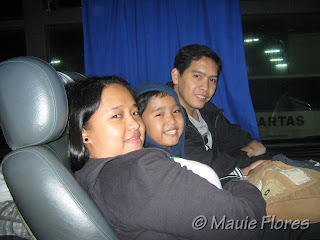 We last visited the Manila Ocean Park in March 2008 when it was first opened to the public. I'm glad that a lot of places to see and try have been added in the past two years. 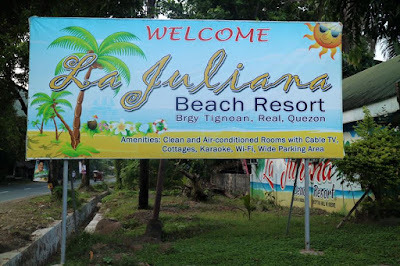 We're planning to go back probably this summer and check-in at the H20 Hotel. We still have got to try the Aquatica show. 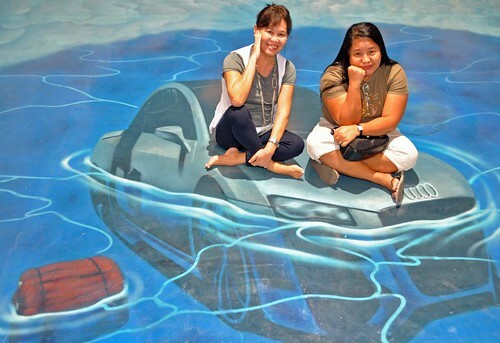 You can visit Seriland at the 2nd level of the South Wing of Manila Ocean Park. The land of happy thoughts is open from 10 am -8 pm on weekdays and 9 am - 9 pm on weekends. Visit the official website and their Facebook page for more details or call (02) 5599563.